IRVINE, CA--(Marketwired - Jun 18, 2015) - Masimo (NASDAQ: MASI), maker of breakthrough Measure-through Motion and Low Perfusion™ pulse oximetry, announced today that for the first time moviegoers attending a screening of the award-winning documentary "Personal Gold: An Underdog Story" will use Masimo's iSpO2® pulse oximeter to help review the film. Select attendees of the "Personal Gold" screening at the QS15 Quantified Self Conference + Expo this weekend will receive an iSpO2 to track their blood oxygenation and pulse rate during the film. The Personal Gold team will overlay, graph and post the measurements on a timeline showing physiological reactions to the movie. The film features the consumer version of Masimo's iSpO2 pulse oximeter. 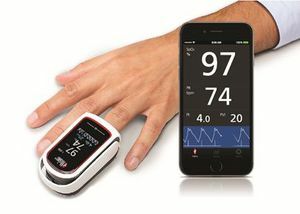 Masimo has since introduced the MightySat fingertip pulse oximeter with optional Bluetooth® capability, enabling consumers to track and trend oxygenation and pulse rate measurements on their iOS or select Android mobile devices. 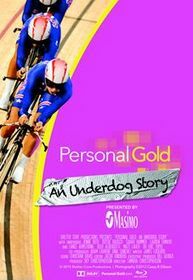 Heralded as "Miracle on Ice-meets-Moneyball" by Wall Street Journal reporter Reed Albergotti, "Personal Gold" gives a behind-the-scenes experience of four underdog women cyclists who become America's hope for a medal at the 2012 London Olympics after the men's team was banned during the Lance Armstrong drug scandal. The underfunded women relied on pulse oximetry and other technologies as part of an innovative "Data not Doping" training regimen to win the first U.S. Women's Track Cycling medal in more than 20 years. "We believe this is the first time a pulse oximeter has been used to help 'review' a movie," said Joe Kiani, Founder and CEO of Masimo. "Masimo is dedicated to taking noninvasive monitoring to new sites and applications. The Quantified Self Expo offers an ideal setting to noninvasively measure physiological changes of viewers as they watch this inspiring film." "'Personal Gold' is more than a must-see Olympic story -- it's a film that expertly explores the intersection of sports, science and ingenuity," said Gary Wolf, contributing editor at Wired and host of this weekend's screening. "Without access to the tools of self-measurement, such as the noninvasive pulse oximetry device we'll be using at the screening this weekend, these heroic athletes would not have had a chance to make history. For these women, Quantified Self techniques meant the difference between standing on the side lines and standing atop a podium." Masimo (NASDAQ: MASI) is a global leader in innovative noninvasive monitoring technologies that significantly improve patient care-helping solve "unsolvable" problems. In 1995, the company debuted Measure-Through Motion and Low Perfusion™ pulse oximetry, known as Masimo SET®, which virtually eliminated false alarms and increased pulse oximetry's ability to detect life-threatening events. More than 100 independent and objective studies have shown that Masimo SET® outperforms other pulse oximetry technologies, even under the most challenging clinical conditions, including patient motion and low peripheral perfusion. In 2005, Masimo introduced rainbow SET® Pulse CO-Oximetry technology, allowing noninvasive and continuous monitoring of blood constituents that previously could only be measured invasively, including total hemoglobin (SpHb®), oxygen content (SpOC™), carboxyhemoglobin (SpCO®), methemoglobin (SpMet®), and Pleth Variability Index (PVI®), in addition to SpO2, pulse rate, and perfusion index (PI). Additional information about Masimo and its products may be found at www.masimo.com. This press release includes forward-looking statements as defined in Section 27A of the Securities Act of 1933 and Section 21E of the Securities Exchange Act of 1934, in connection with the Private Securities Litigation Reform Act of 1995. These forward-looking statements are based on current expectations about future events affecting us and are subject to risks and uncertainties, all of which are difficult to predict and many of which are beyond our control and could cause our actual results to differ materially and adversely from those expressed in our forward-looking statements as a result of various risk factors related to MightySat, including our belief in the breakthrough ability of Masimo SET® pulse oximetry to measure-through motion and low perfusion; as well as other factors discussed in the "Risk Factors" section of our most recent reports filed with the Securities and Exchange Commission ("SEC"), which may be obtained for free at the SEC's website at www.sec.gov. Although we believe that the expectations reflected in our forward-looking statements are reasonable, we do not know whether our expectations will prove correct. All forward-looking statements included in this press release are expressly qualified in their entirety by the foregoing cautionary statements. You are cautioned not to place undue reliance on these forward-looking statements, which speak only as of today's date. We do not undertake any obligation to update, amend or clarify these statements or the "Risk Factors" contained in our most recent reports filed with the SEC, whether as a result of new information, future events or otherwise, except as may be required under the applicable securities laws. MightySat™ fingertip pulse oximeter provides oxygen saturation (SpO2), pulse rate (PR), perfusion index (PI), and Pleth Variability Index (PVI®).